24-hour forecast: Mostly cloudy with a few showers or isolated thnderstorms mainly along southern coastal areas this morning and tonight. Cloudy at times tonight and cloudy with sunny periods tomorrow. Showers or thunderstorms will be isolated, except for a few in the south tonight and tomorrow morning then inland in the afternoon. Tomorrow: Winds: East 10-20 kts. ; seas: Choppy - moderate. ; waves: 3-6 ft.; some showers, a few thunderstorms or periods of rain mostly north. Marine Outlook: Sun. Night:- Winds: E-NE 10-20 kts. ; seas: Moderate. ; waves: 4-6 ft.; some showers, a few thunderstorms or periods of rain. General Outlook: For Sunday and Sunday night is for cloudy to overcast skies with some showers, a few thunderstorms or periods of rain over most areas, especially along the coast and over the north. 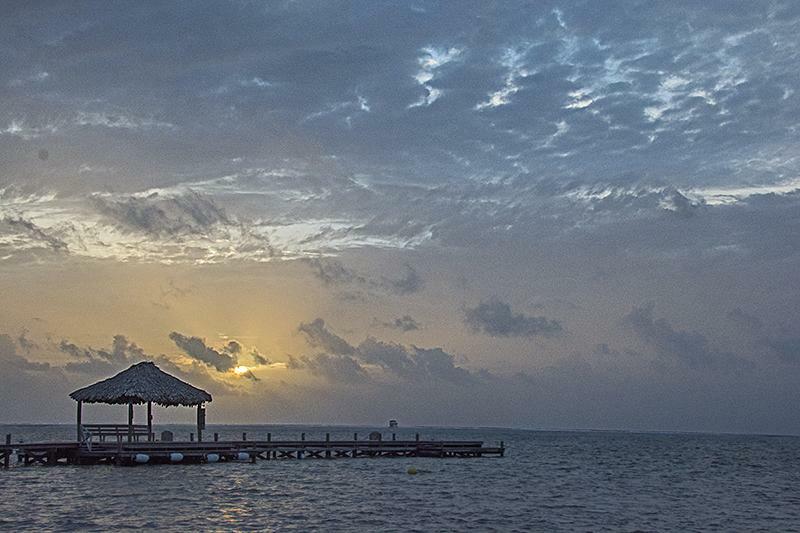 Still no rain on Ambergris Caye but continued heavy overcast. The sea is calm and our expected high is 87. 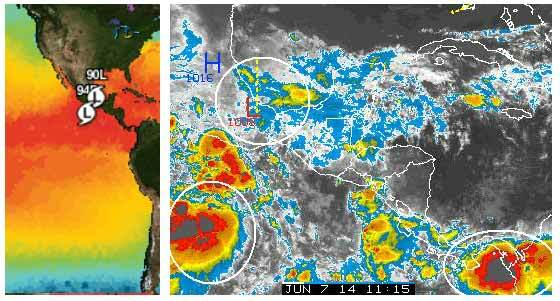 I did not record any rain last night, there was significant amounts of ITCZ activity in Guatamala last night and there is a fair amount of rain moving our way.... .But will it fade out as the day warms or will we get significant rain in many parts of Belize. ? too marginal to say either way. Is that another Storm developing in the Pacific. ? Last edited by Marty; 06/07/14 01:14 PM. A lot of activity going on right now. . . .. The first time I have seen such a long stream of cloud moving westwards from Africa. Is this the beginning of the Hurricane Season. ?. 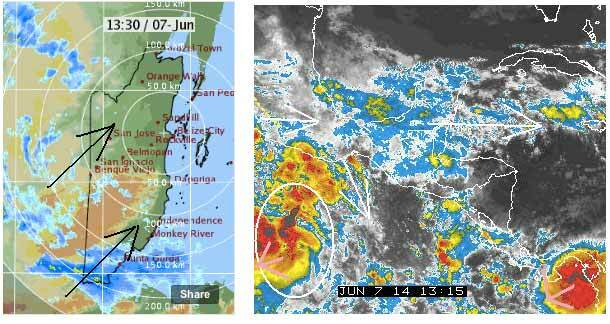 . . .Rain clouds still streaming in from Guatamala, causing rain in the north, but all missed Belmopan today.